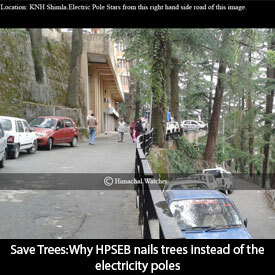 HW couldn’t help wondering why HPESB is spending on electricity poles when they are not being used in anyway and instead, trees are tortured to hang streetlights. 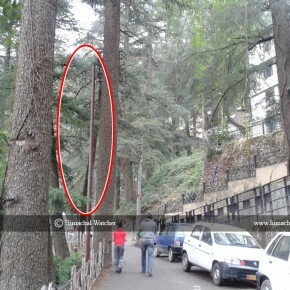 Himachal Watcher has previously written to HPSEB and DFO Shimla regarding the unethical use of trees for nailing streetlights, stay wires, and advertisement hoardings. 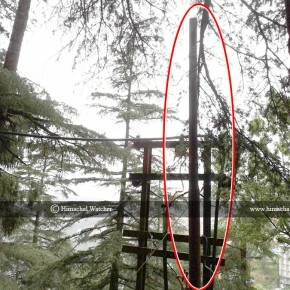 Some of them were removed, some still waiting for someone to come and pull those painful rods out.One more question, which must bother every citizen and HPSEB, is that why many electricity poles, not used anyway, are places all over the Shimla? What’s the purpose of spending money on the allotment of such poles? 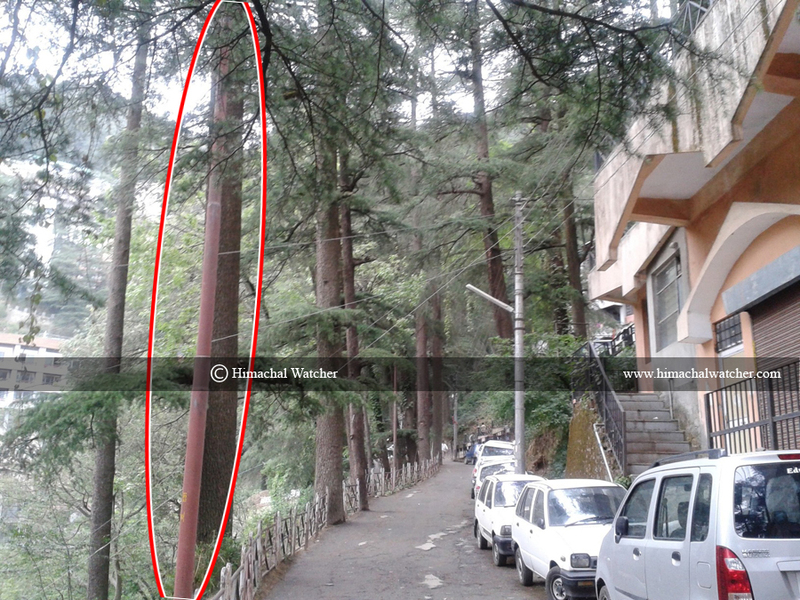 Why HPSEB nail torturous iron rods into trees instead of using these poles standing in vain? 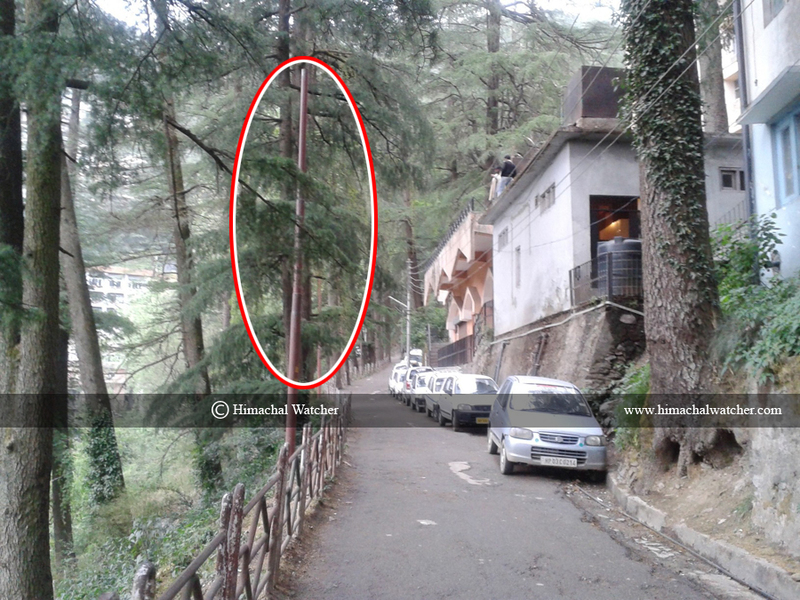 These pictures just cover the area near Kamla Nehru Hospital and you might have seen these poles all over the Shimla many times before, but never gave a thought over the purpose they are solving there. HW had posted similar news covering Vikasnagar, where, in papers, poles have been allotted, but in reality only poles and no streetlights. 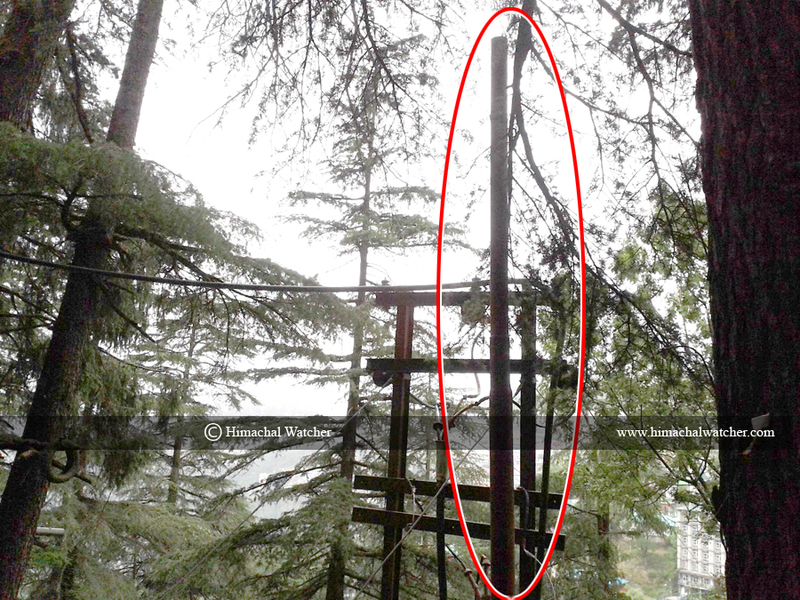 If HPSEB has objection on our critical comments, please justify yourself and show ‘Estimate Report and Demand Application’ for the allotment of these poles all over the Shimla. HW would be grateful and proof against your innocence will be published on our website.Although, we know, no one is going to reply to our questions and show the public what we they are asking, but HW will get these answers through RTI on the behalf of public. 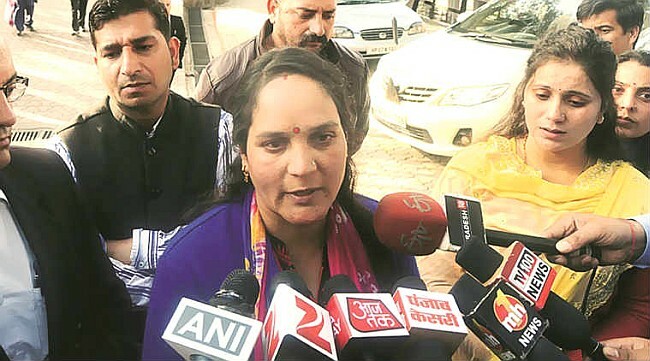 Coming to the public for whom HW seeks attention, you contribute to the problem by being silent even after witnessing enormous such issues pertaining to the lives of common people. Consumers suffer due to faulty cash acceptor, which hasn’t been replaced by the HPSEB for years even after complaints from operators. 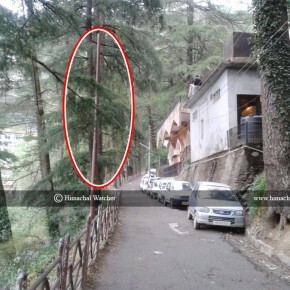 Adjacent to the MC Shimla building, there is a cabin that contains the HPSEB Payment Kiosk, which accepts cash as the payment to the consumer electricity bills. The idea is to save men power and free the consumer from the queues in front of the payment counters. 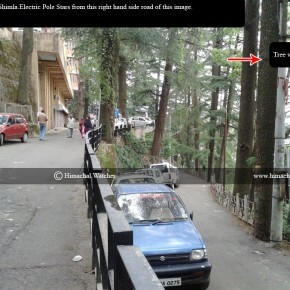 However, HPSEB’s payment kiosk at Shimla Mall hasn’t received any maintenance after it was installed years ago. This payment kiosk has rather turned into a frustrating machine for majority of the consumers who approach it for the first time. 8 times out of 10, the machine pukes out the currency notes irrespective of the fact there is no fault with the note. Moreover, it’s highly idiotic if we need an operator at a kiosk too. What’s the difference between a manual counter and kiosk if both of them requires a man to operate it. The man employed at HPSEB’s kiosk, for sure, would do a faster job manually. Along with wasting time a lot of time, mostly the cash acceptor accepts only a partial amount of total billing amount. 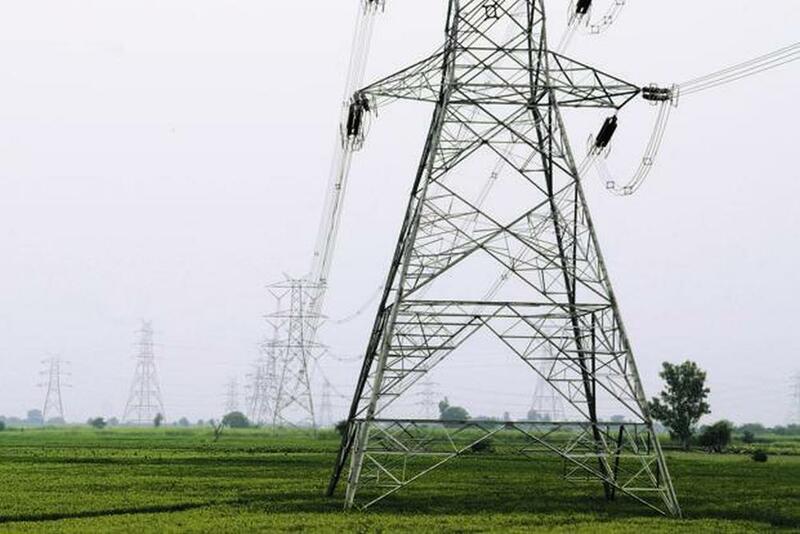 The remaining amounts adds to bill of the next consecutive month Even operators are helpless in dealing with the issue. Have a look at the video HW had recorded on 4 Febuary 2013 and try to hearing conversation between the consumers and the operator. HW would like to bring to the attention of HPSEB to work hard on their implementation of technologies. A technology evolves with each passing day. Every technology needs to be updated regularly. That’s the secret of making a technology work exactly as you want it to and ignoring it is the reason HPSEB is doing worse in adopting the technologies. The government doesn’t seems to be able to hire literate enough technical employees who could keep it updated on the technologies. Your online bill payment service also discouraged the main motive of the it and discouraged online payment instead of promoting it. 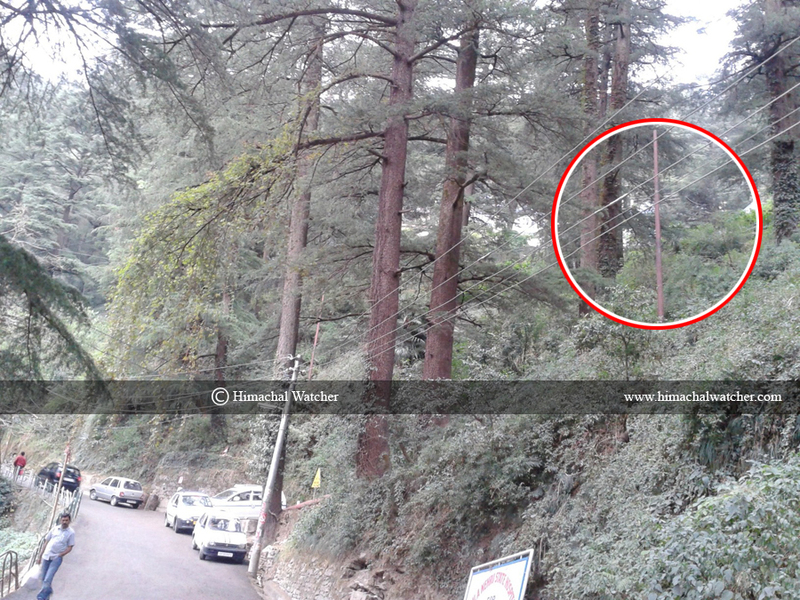 You are killing trees with your metal stay-wires and metal rods everywhere in Shimla. It’s really unfortunate to have such a ignorant government department. Please, attend to your bill payment kiosk as soon as possible. It’ll help saving time and energy of both, you men and the consumers. However, the hopes are very low and as usual, we might need to write to HPSEB at least 8-10 times before it even pays some concern to it. But, still, HW would do that until it’s attended by HPSEB. 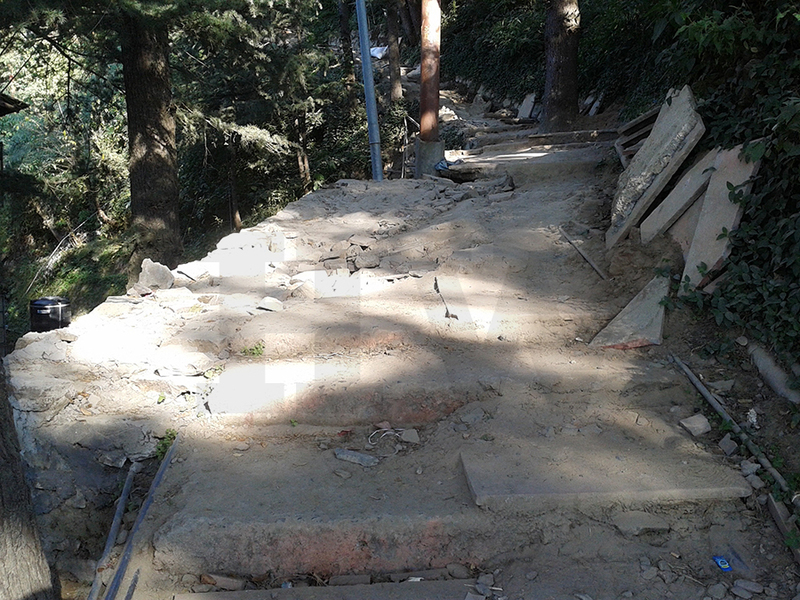 The incomplete footpath causes trouble for the bus drivers and the public, HPPWD says the government hasn’t approved the budget yet. 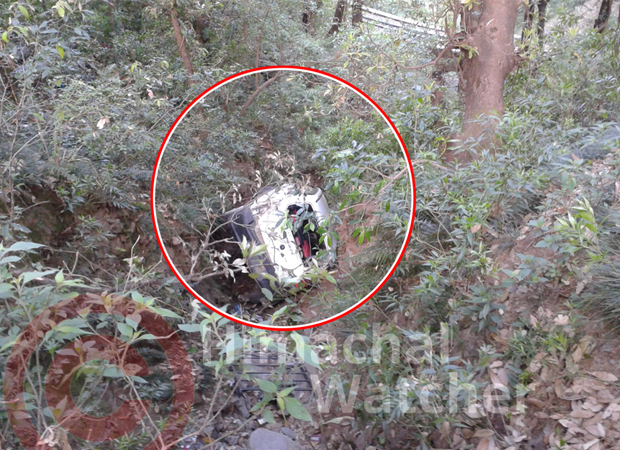 This morning, a private mini bus and a HRTC bus collided near Talland. Fortunately, the impact was very low and there were no casualties. 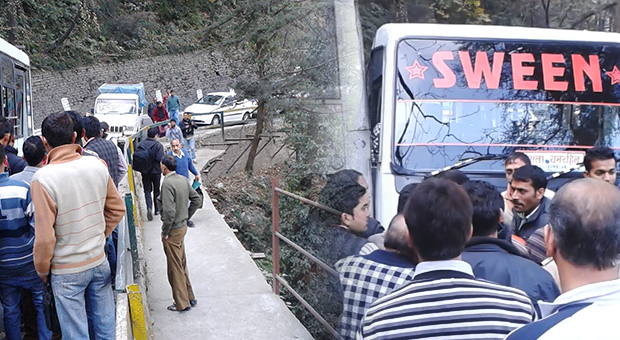 However, the accident resulted in a one and half hour-long traffic jam as two drivers of the buses were arguing over the fault. The day for the people, struck in a jam (9:30 to 10 AM), begin with a frustrating note. Many office going employees, students and a great number of other people faced a troubles. 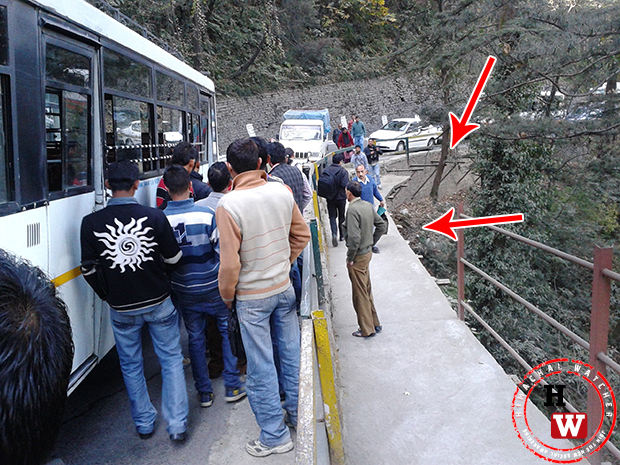 Even the traffic policemen, who were present at the stoppage, appeared to be helpless breaking the jam. The driver of Sween Travels appears to be at the fault. However, the driver argued and said, “ What should I do? There are always people, who walk by the roadside, and that leaves no choice but to steer the bus a bit towards the wrong side”. 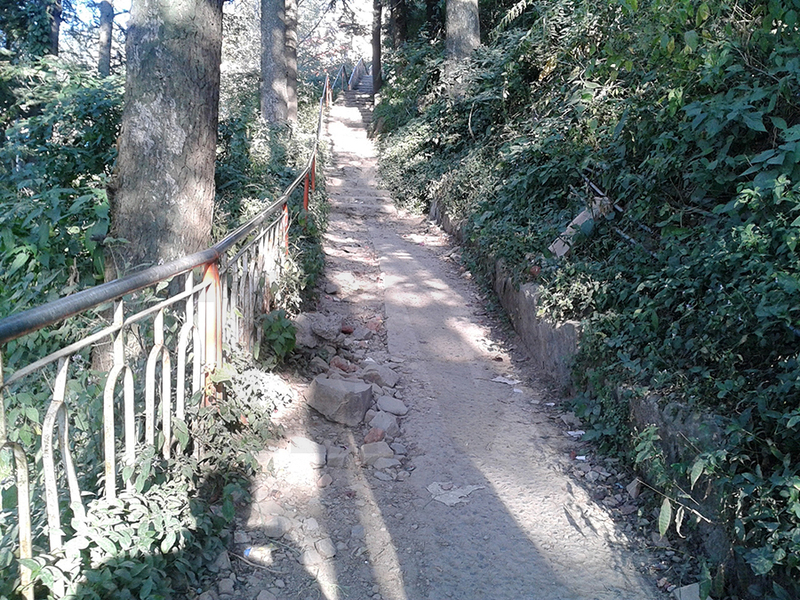 In this regard it is intimate that footpath from Vidhan Sabha to lift is in very much running condition and from time to time this department is doing necessary repair whenever there is any pol holes etc.however te special repair of the same is needed with in a period of 2years as the footpath has been constructed many years ago.The estimate for the repair of footpath has been prepared and has been sent vide this office letter No AE-1/Estimate /2012-635 dated 4/7/20-12 .The work will be taken in hand after the approval of complent authority. It’s been almost 6 months, but the estimate has not received the approval from Government. The construction plan for the DLF Luxury Villas on the forest land can get approval in a day, but a necessary public infrastructure can wait for years. 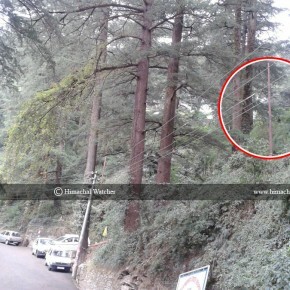 May be, the HPPWD and the government is waiting for some greater mishap. If you have been traveling towards Vikasnagar, then it won’t be hard for you to recall that the footpath is actually incomplete and people do use the main road. Apparently, we would blame the responsible government department as the root cause that lead to a great headache this morning. The HPPWD should mind it that hundreds of people suffered due to their carelessness. Along with the drivers, the public must understand and consider their responsibility while using the roadside. A driver incapable of judging factors such as the space available around him is a poor driver. 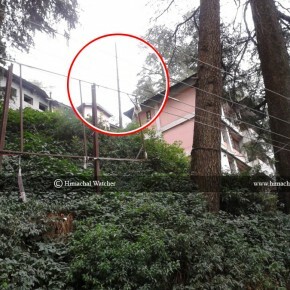 Even after months of MC Shimla confirmed the allotment of funds, the private contractor did not appear and a grievance remains. MC sticks to the ‘In Progress’ status on most of the grievances HW had raised asking the department to attend them immediately. 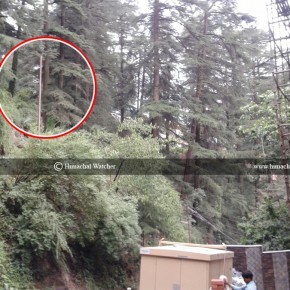 HW reviewed the status on the complaints we had submitted to MC Shimla. 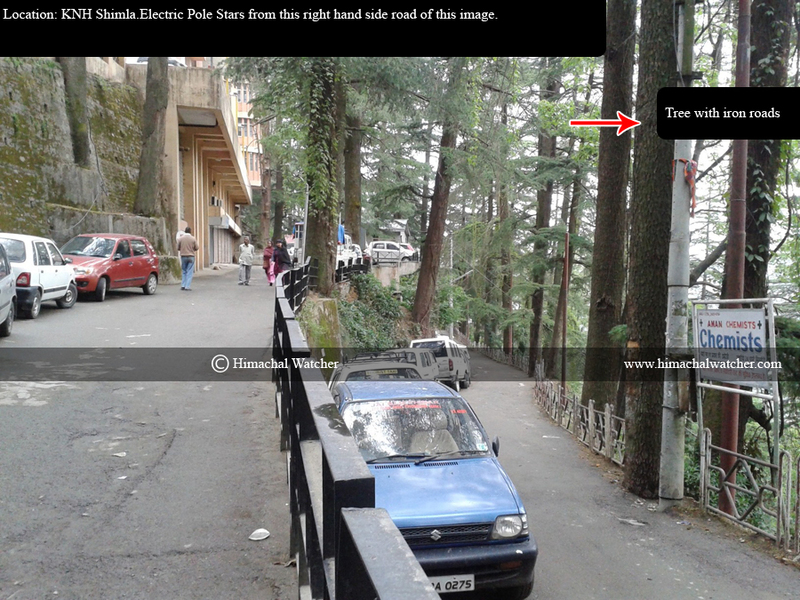 What we realized is that a MC Shimla is a hard nut to crack. First, the department feels reluctant to reply to the complaints. Either, we need to keep giving them reminders or wait for a couple of months for a reply. If your complaint is heard and put under the status “In Progress”, then you should probably wait for the approval of funds etc , that takes, at minimum, 5-6 months. 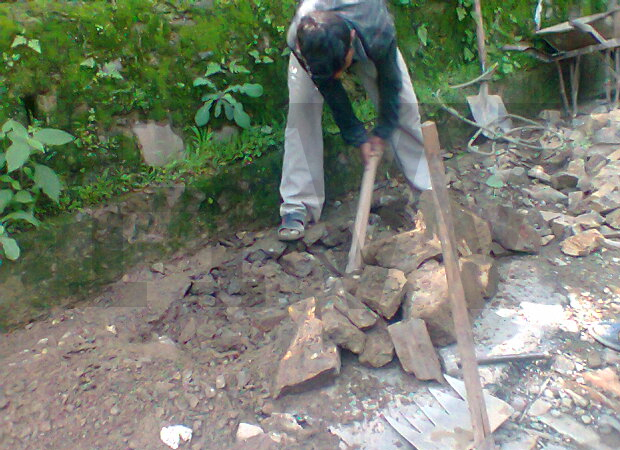 After that, the rainy season restrict the work for MC Shimla, so you wait for 2 more months. Guess, what’s next? 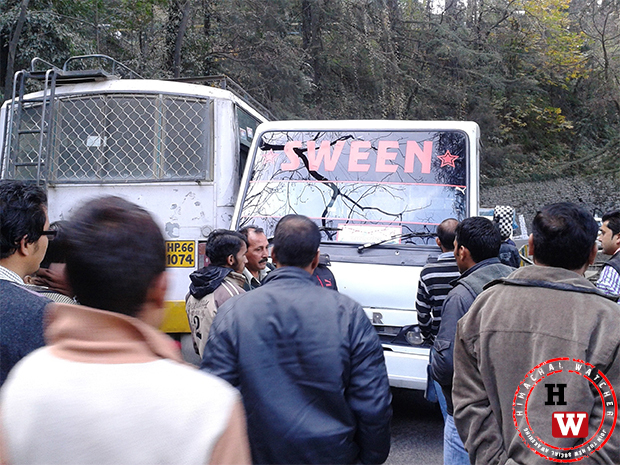 MC Shimla would wait for the snowfall and hence the work gets postponed for another couple of months. In some of the complaints, the budget is sanctioned; the contract is awarded to the contractors, mostly private. However, these contractors don’t appear for months. 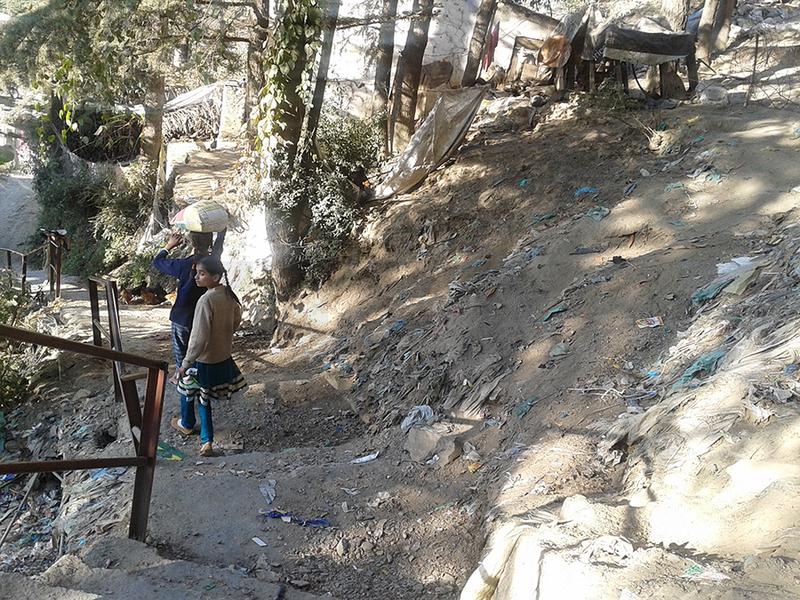 Then there are a few cases in which the work begins, laborers appears and the material for the maintenance of the footpaths and other small paths that interconnects the residential areas to the main roads of Shimla is delivered. Suddenly, the labor disappears, the maintenance work is left half done, and the materials, like tiles, concrete remains on the site to be wasted only. 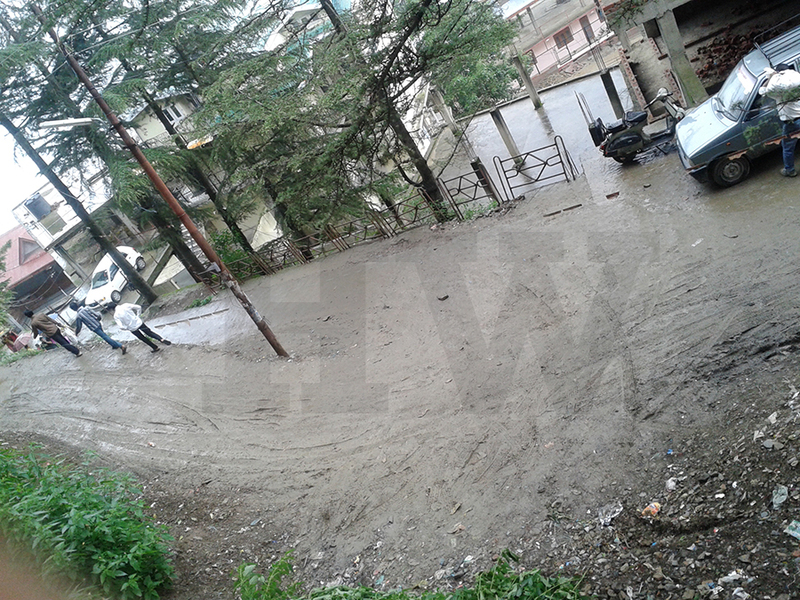 HW had submitted a few complaints pertaining to the area under Vikas Nagar region. Some of them were submitted almost a year ago and MC had sanctioned the budget. 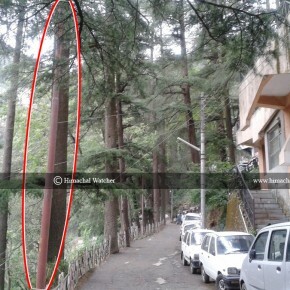 One of these sites includes the road connecting Dev Nagar to main Shimla by-pass road, which we had published in April this year. (Click here to read the story). The XEN(R&B), MC Shimla has intimated vide Dy. No. MCS/XEN/267/e-gov/2012-1000 dated 26-04-2012 that the estimate has been sanctioned and is under process. The work would be taken up in hand as per availability of budget. Hence the application may please be considered disposed off with regard to this department. The complaint was disposed off saying that the MC lacks sufficient funds. 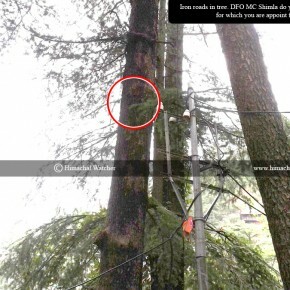 We would again like to ask MC Shimla if now they have some funds or not? If you have, then please attend to the issue. 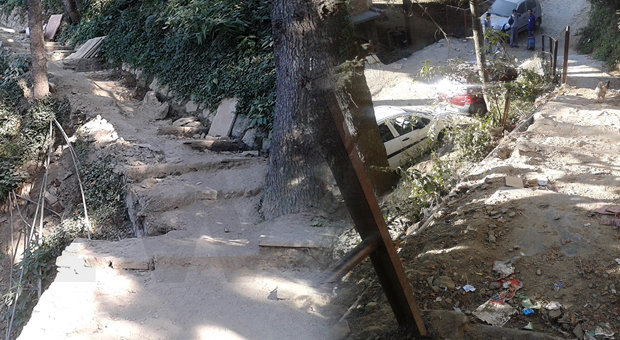 In an another complaint, HW wrote to MC Shimla regarding another location in the same area (Vikas Nagar), which was in dire need of maintenance. Fortunately, the complaint was considered and work begins during the month June and labor even had fixed some of the patch. We were glad that MC did sanction the funds to attend to the grievance. However, after a month, all the labor disappeared, and the maintenance work was left half done. Take a look at the video clip recorded at Vikas Nagar yesterday. Now, why is it that the work was started and then left half done? Where did the funds sanctioned for the maintenance work go? We guess the local residents would be interested in these questions. 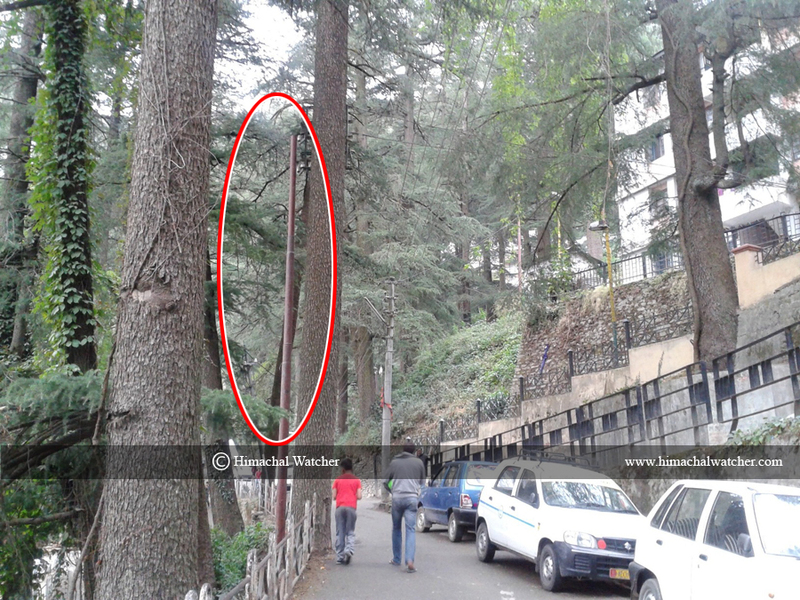 The height of the unpredictable behavior of MC Shimla can be exemplified with this case. HW submitted a couple of complaints including the accident, that caused due to the absence of the safety walls on the roadside. 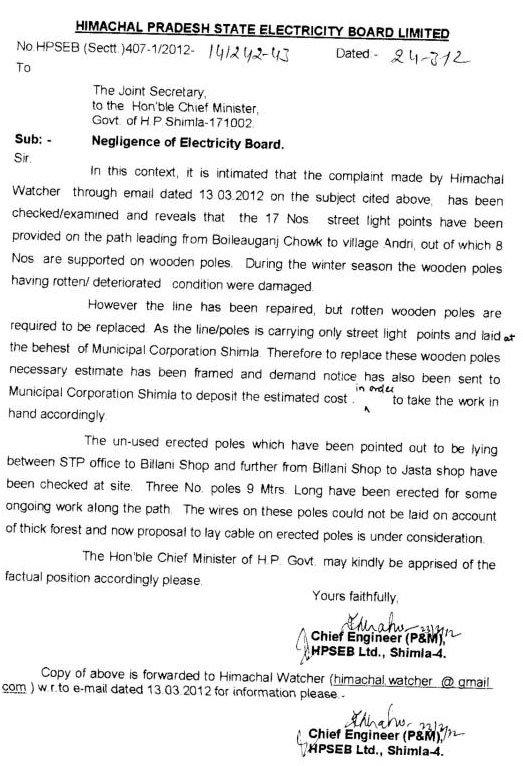 At the same time, the electricity board, on our complaint, had indentified the locations on the road that connects Boileauganj to Shive Mandir, Summerhill, which were in an immediate need of streetlights. 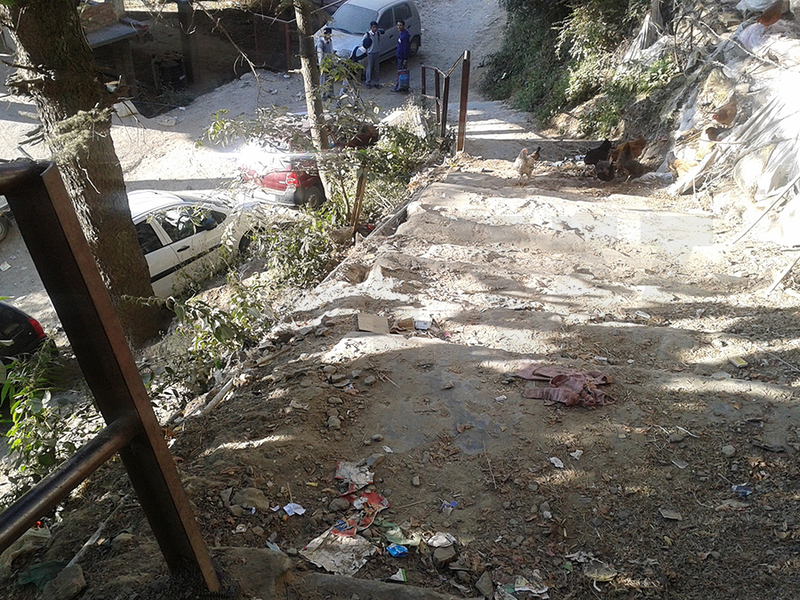 The MC Shimla confirmed that the budget of Rs.8,90,000/- has been sanctioned for the placement of railings on the roadsides.However, it was just sanctioned and no actual work has been done so far at the location. 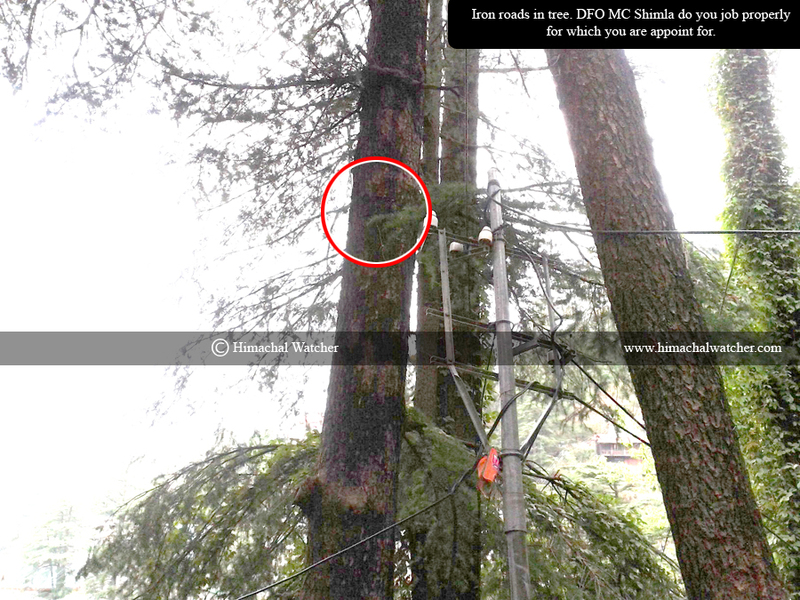 Again, here, we would again like to inquire MC Shimla regarding the delay in the maintenance work. It confirmed that the contract has been awarded for the same to a private contractor in the month of August and the work will begin as soon as the rainy season passes. It’s been almost 2 months that the rainy season has ended, but the private contractor hasn’t moved a muscle yet. 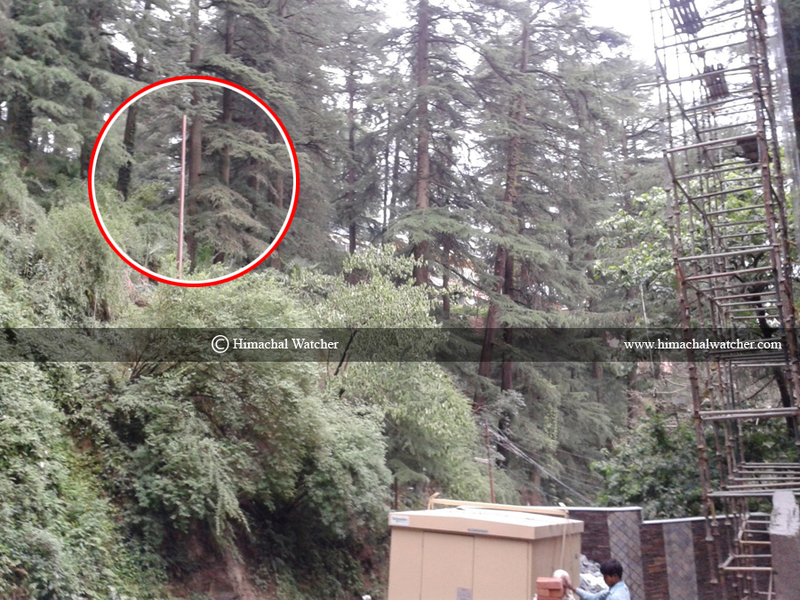 When we again reminded MC Shimla regarding the delay on the part of contractor, it didn’t bother to answer. 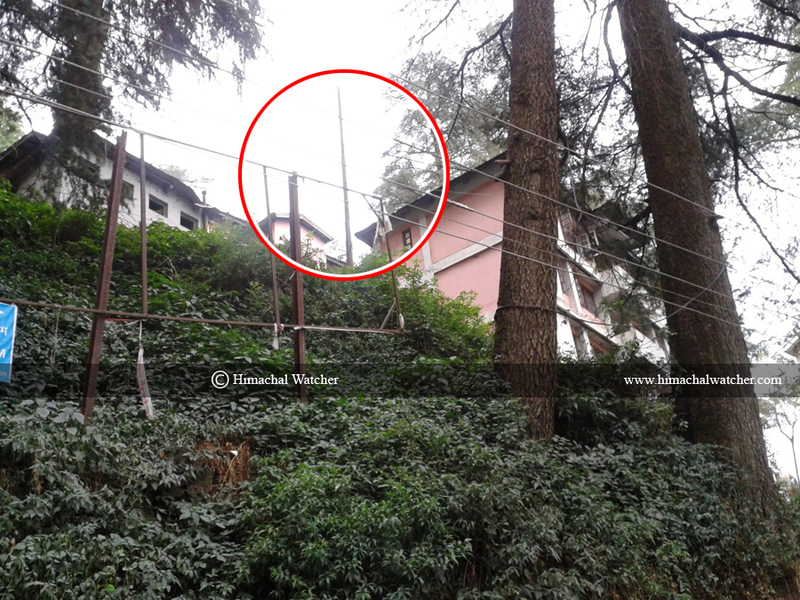 We guess, now MC Shimla and the contractors are waiting for the snowfall. 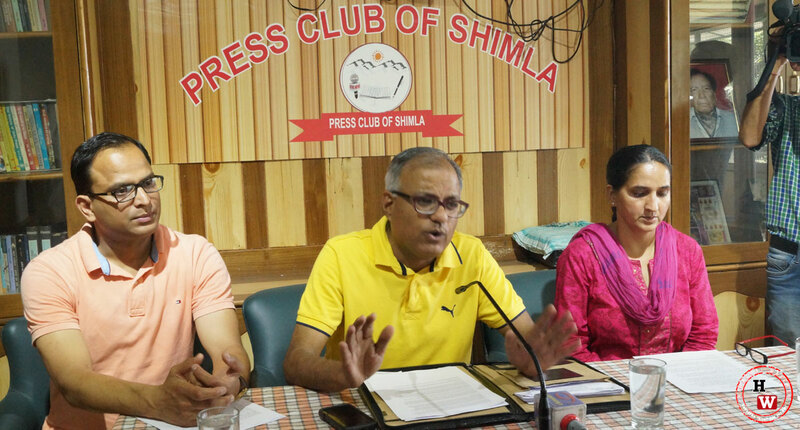 We again submitting an reminder to MC Shimla regarding the pending complaints and would like to share their justification for all this delay and lethargic behavior with our readers and the public. 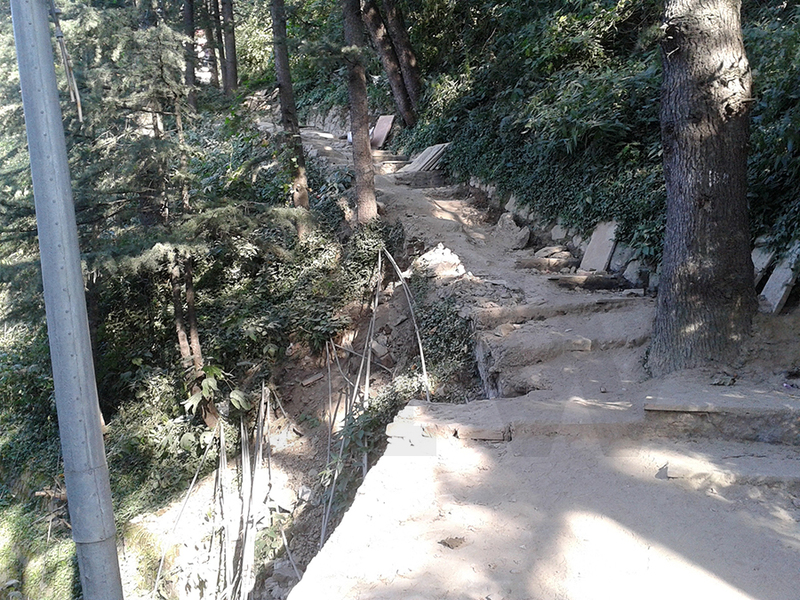 But, that’s possible only when the MC Shimla would bother to reply and that is no less than being the luckiest complainer, If the Municipal Corporation of Shimla doesn’t have funds to look after the maintenance of public infrastructure, then for whom does they have it.